It has probably been close to 10 years ago that I bought my little Contax G1 used from a guy that lives about an hour and a half away from me. He wanted to buy Nikon’s latest digicam at the time – which was running $900+ if I recall correctly. So for about $800 he sold me his Contax G1 with 35mm and 90mm Zeiss lenses. My plan was that if I really liked the camera, with its known quirks, I would eventually get the slightly larger, faster focusing G2. As it turned it out, I did like the camera. A lot. And never saw any reason to upgrade to the G2. The first thing that one notices about the G1 is its looks. It is a good looking camera, albeit in a 1990s fashion. It came out in 1994 and if you get one you want to be sure it has the “green sticker” inside – meaning it is compatible with the 35mm Zeiss lens that did not come out until the G2 was later introduced. It is made of titanium and, with a look rather like that of nickel, it is not discreet despite its size. In fact, given that its autofocusing sounds like metal gears revving, and its automatic film advance sounds, well like metal gears revving, stealth is not its forte. Its flashiness, auto features, and noise really puts the camera at the opposite end of the rangefinder spectrum from its rival, Leica. So, what’s to love? Plenty if you are not trying to be stealthy. First, there are the gorgeous Zeiss lenses. Every time I buy a new digital camera I tell myself I’m going to sell the Contax on Ebay, but then I start handing the pieces, laying them out to take a picture of them, and I fall in love again and so they go back in the bag. The lenses are like small, metal clad jewels. They glow with craftsmanship. And the pictures they produce have a quality that none of my other lenses seem to approach. The camera too exudes quality – it is a finely finished little functional box with simple, intuitive controls. I think the auto focus and auto film advance sound like metal gears driven by turbo because they are high torque metal gears. 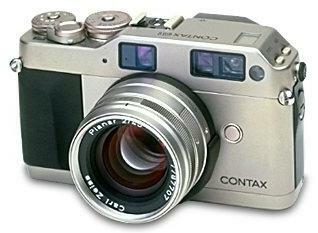 One of the high points of the Contax is its simple and intuitive control layout. There is a small screen in the top left hand corner of the top of the camera where you can see what ISO you have set, whether the film advance is set for single, continuous, or timed, and check the battery status. On the right of the top there are 2 dials with the shutter button nestled between, and slightly forward, of the dials. One dial is for either Auto exposure or to set the shutter speed. Auto means aperture priority – there is no shutter priority or any other auto option. Good thing I use aperture priority 99% of the time for my work no matter what camera I’m using. When set on “Auto,” the dial also allows quick and easy exposure compensation, up to 2 stops in either direction in 1/3 stop increments. The second dial is for focusing – either leave in in “AF” or turn it to the distance the subject is from the camera. More on that below. In this system two CCD arrays achieve focus by minimizing differences in patterns from the physically separated dual array sets. It is extremely accurate under the right conditions, but slow and inaccurate in low light as well as close up photography. The G2 added an active component to the auto focus, but even it is not highly regarded for its speed. Still, for the pictures I take, which tend to be of relatively still objects in relatively good light, it works just fine. I need to add that the auto focus resets after you take a picture, so you can’t auto focus and then run around and be in the shot – as soon as your finger leaves the button the lens retracts back to what I guess could be called its “natural state.” I also should point out that there is only 1 auto focus area represented by a small rectangle in the middle of the frame. So if you are used to 3 spots, or 9, or 27 or whatever, this may not please you. However it works great with some practice. This is a camera made for handheld work and so putting the subject dead center, focusing, then recomposing before pushing the shutter button all the way is, in my opinion, a quick and easy thing. I actually prefer it to multiple points for handheld picture making. As mentioned earlier, auto focus can be turned off and the lens focused manually using a wheel on the top of the camera, but as this isn’t a true rangefinder camera, focusing is by a distance readout and not done optically. It is, in a word, laborious. If you place the focusing rectangle in the middle of the viewfinder on the the subject you can focus by lining up a row of dots with a single dot on the bottom row – when you also have only 1 dot on the top row, and it is directly over the bottom dot, you have focused on the subject and you can now strap your camera on a tripod and compose the shot putting the subject where ever you want in the frame. Like I said, this is a bit laborious, though do-able, compared to manual focus with other cameras. The auto advance will allow exposure of 2 frames per second. Not stellar, but I have always found it quite fast enough. The built-in exposure meter is a straightforward center weighted one, but it works very well as long as you remember to use the exposure compensation appropriately. I shot several rolls of Kodachrome, which is a bit more picky about exposure than black and white film, and the meter was accurate enough to produce perfect slides. The viewfinder is small and a bit “squinty,” especially when using the 90mm lens, but I don’t use that lens much. Rangefinders are made for wide to normal lenses in my opinion – short to normal primes go well with the small package and produced great results. It does have a built-in diopter that work very well. It has an auto-masking feature that is supposed to show you exactly what you are getting with the “taking” lens, but it is a little off when you are focusing up close. Close enough, I think, and I like to print full frame so I am going to say that what you see is “close enough” to what you get unless you are a real stickler. The display shows you the shutter speed and the approximate distance of what you have focused. Contax made a small flash for the G cameras, the TLA 200. It has the same titanium finish as the G cameras and works about like one would expect a small flash would – it’s weak but it is TTL and, if you get the wire accessory, you can hold it off the camera to get a better result. There is also a cable release for when you want to do the complicated tripod stuff. Oh yes! Along with the simple controls, these are what makes this system! Carl Zeiss lenses. Actually manufactured by Kyocera (the owner of the Contax brand when these cameras through a license with Carl Zeiss, there is no doubt that Zeiss didn’t license their name to an inferior manufacturer. All are magnificent, wonderfully sharp lenses based on computer aided design refinements to lens formulas that Zeiss created long ago. Used on Hasselblads, Rolleiflexes, and Contax’s own 35mm cameras for years, the Planar designation is legendary. The 45mm f2 Planar for the G1 and G2 is one of the highest rated lenses ever (if not the highest rated lens) at Photodo. I have it (I picked it up on Ebay for $145 a few years ago – try to find a modern Zeiss for any other system for that price! ), and the camera came with the 35mm f2 Planar and 90 mm f2.8 Sonnar. However, if you are a bokeh nut, these lenses do not have enough blades in the apertures to form perfect circles, so you may not be happy with the bokeh. I’m no connoisseur, so I like it just fine. If you want to learn more about this subject from someone who is a connoisseur (he helped introduce the whole concept to the United States), as opposed to Flickr-ites who largely seem to think that all there is to bokeh is f1.8 and be there, check out these postings from Mike Johnston here and here. You can find stats on this camera as well as more information at the Contax G User Pages. As mentioned earlier, the camera is fairly noisy. If you want to take stealthy street pictures, or candids, the “whirr” of the auto focus is likely to give you away, and if it doesn’t, the “whirr” of the auto advance will certainly keep you from taking a second picture unnoticed. I also wouldn’t recommend it for shooting quiet events like weddings – though it works very well for the reception that follows. 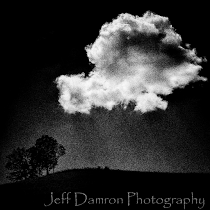 One of the things I really like, but others may not, is the simplicity of the camera. I like the one spot for focusing, the fact that auto exposure is limited to aperture priority, the easily adjustable exposure compensation. With a little use, I found this camera to be as close to perfect for me as any camera I’ve ever used. Quirky? Yes. But nevertheless a wonderful carry-around film camera. If Contax had made a digital version, I would have bought it too. Best of all – they are a steal on Ebay considering their construction quality and their original price of nearly $2000. 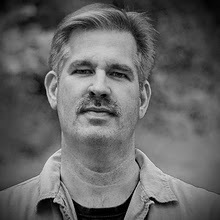 Jeff DamronGrateful husband, confused father, amateur photographer, sometimes avid reader, occasional writer, struggling contemplative, bewildered blogger. Professional attorney as well (but don’t hold that against me, please).